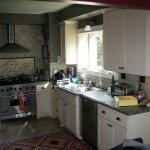 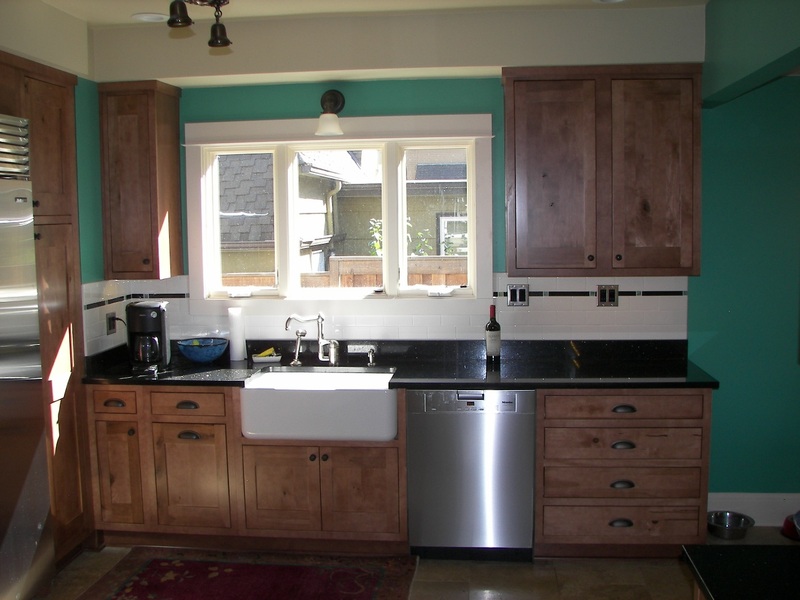 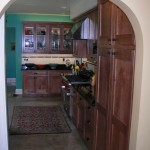 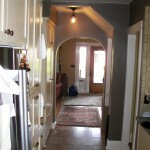 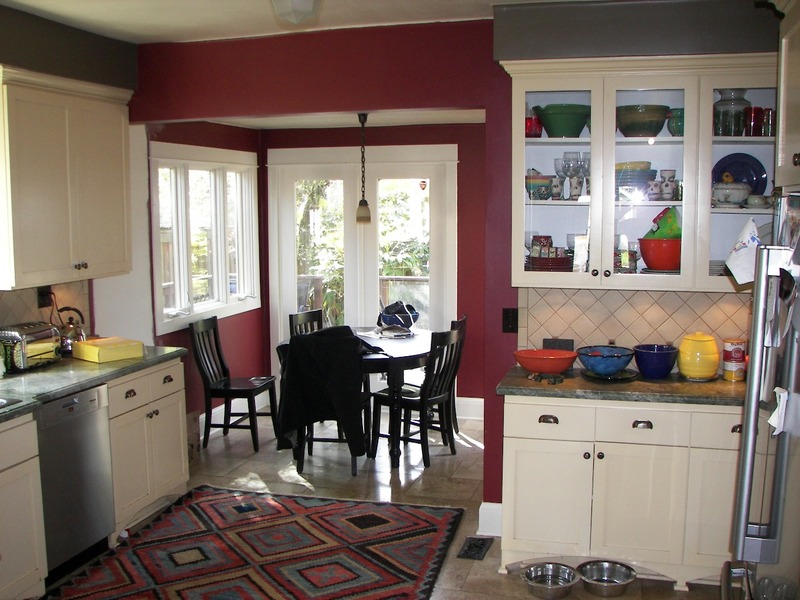 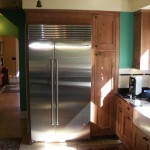 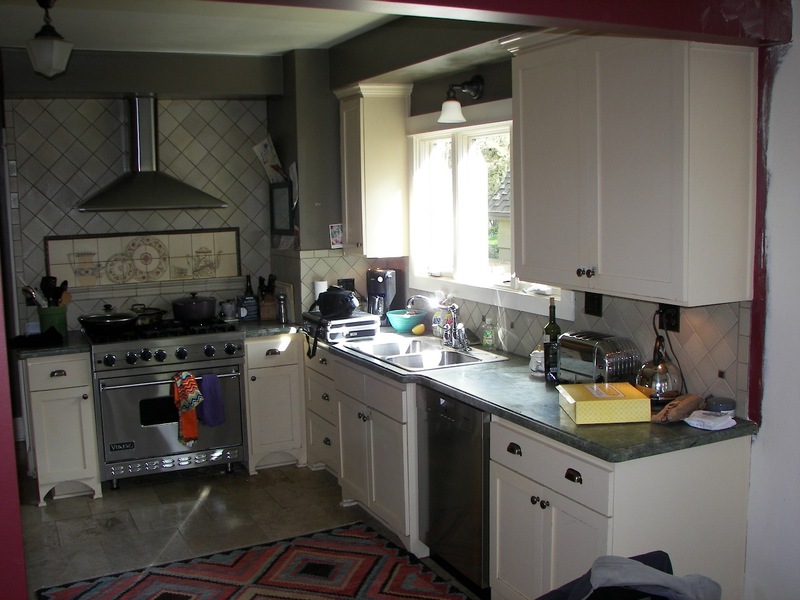 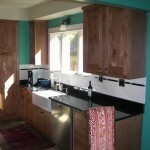 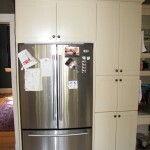 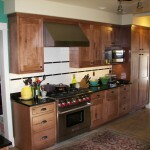 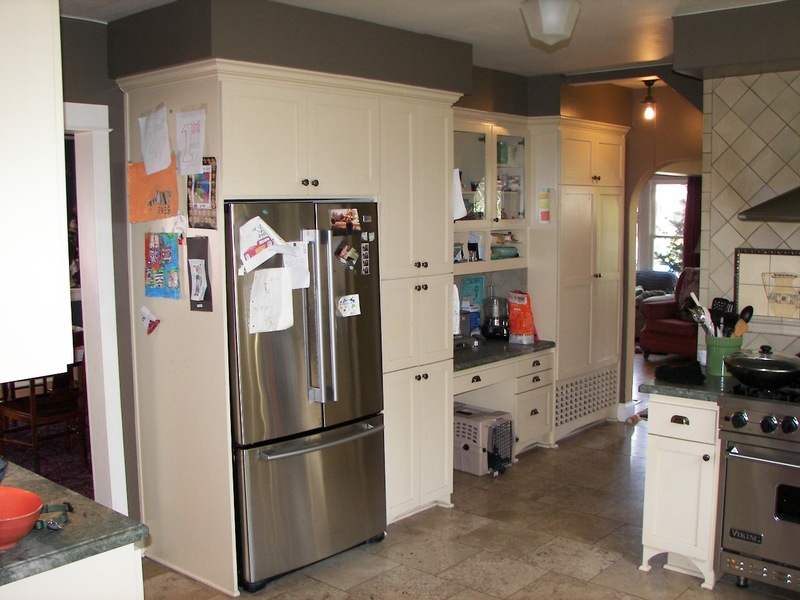 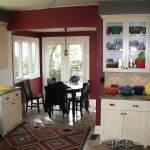 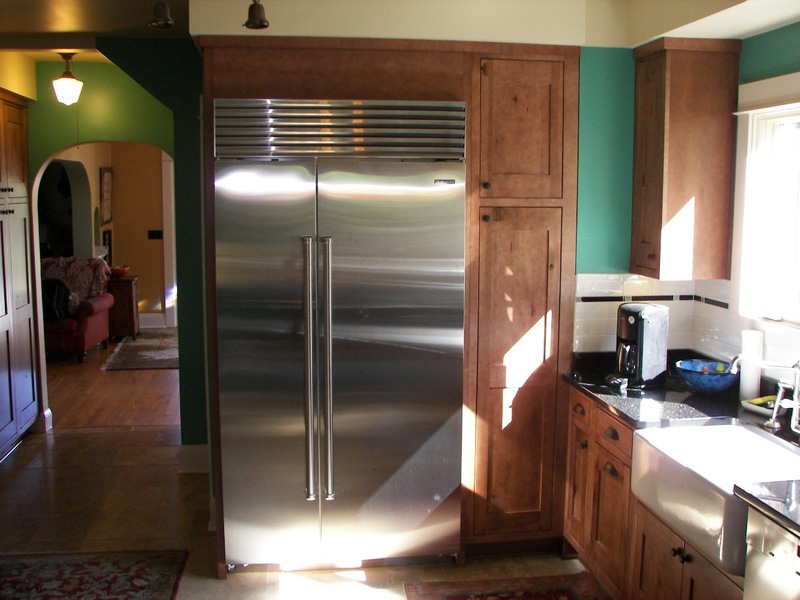 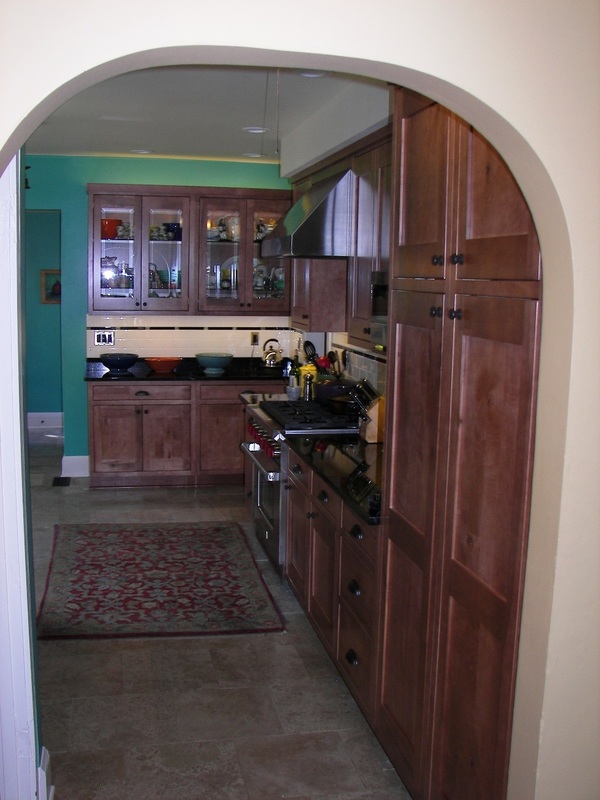 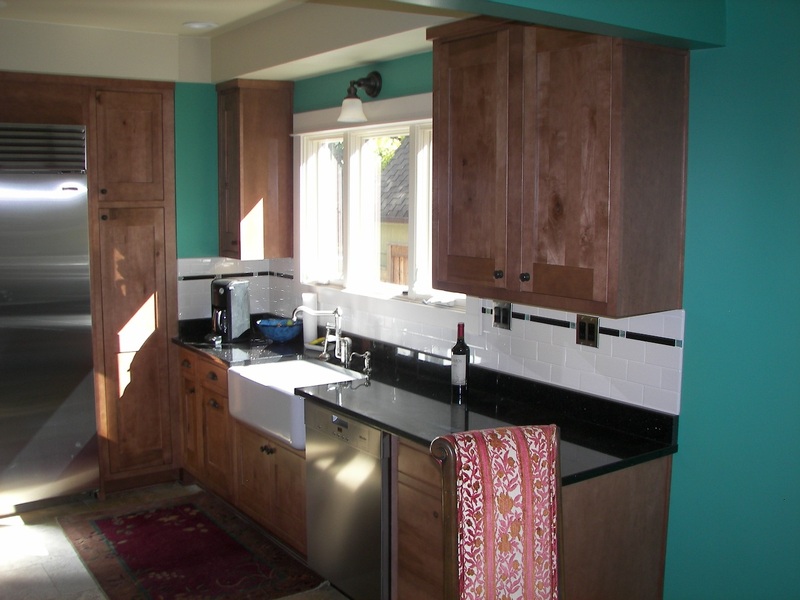 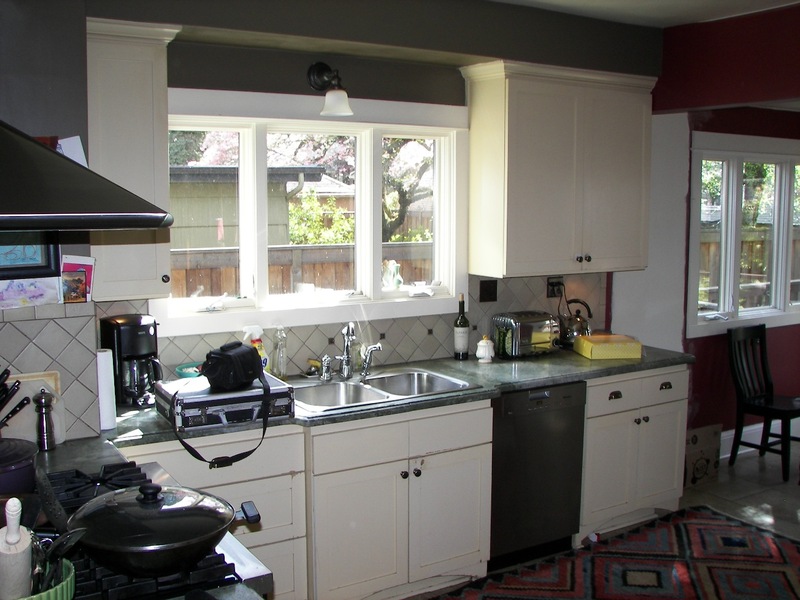 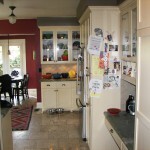 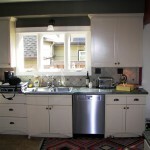 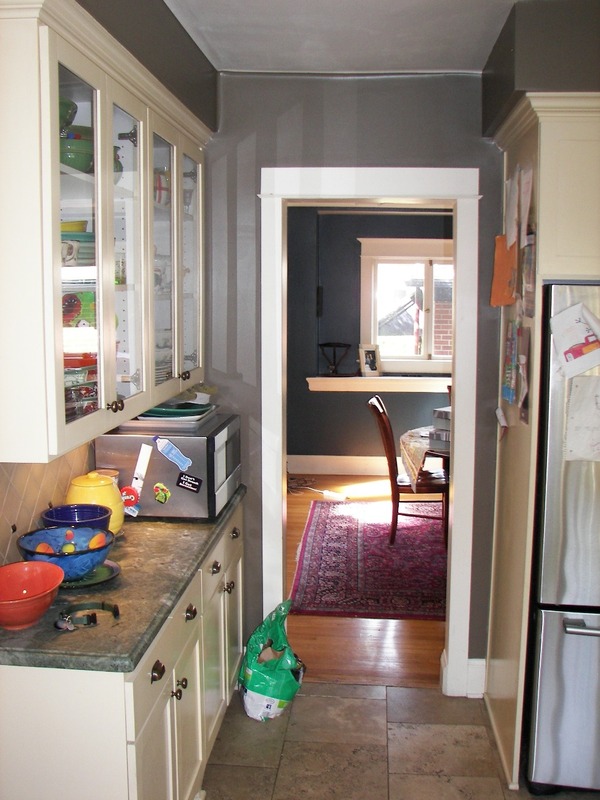 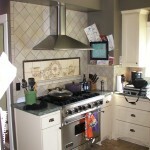 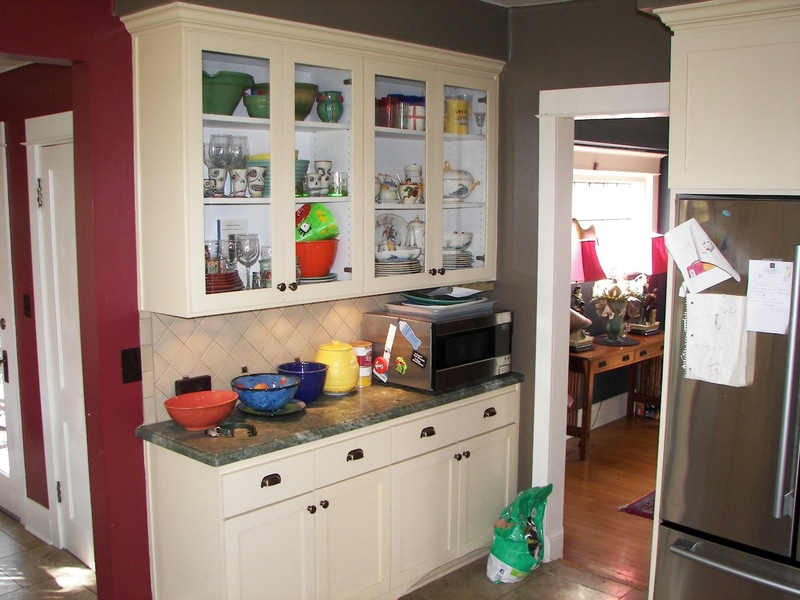 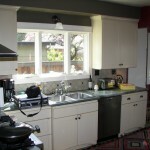 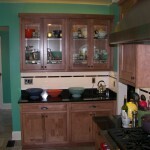 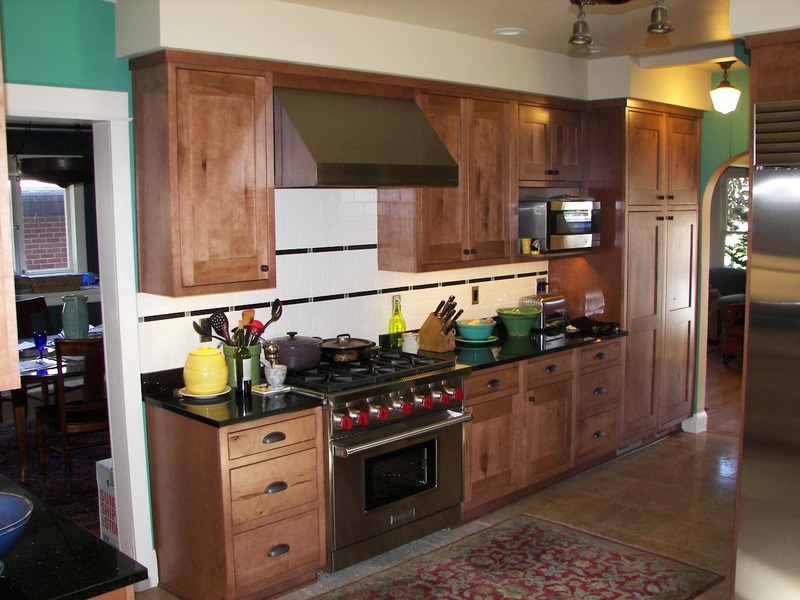 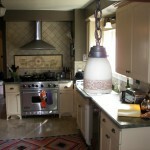 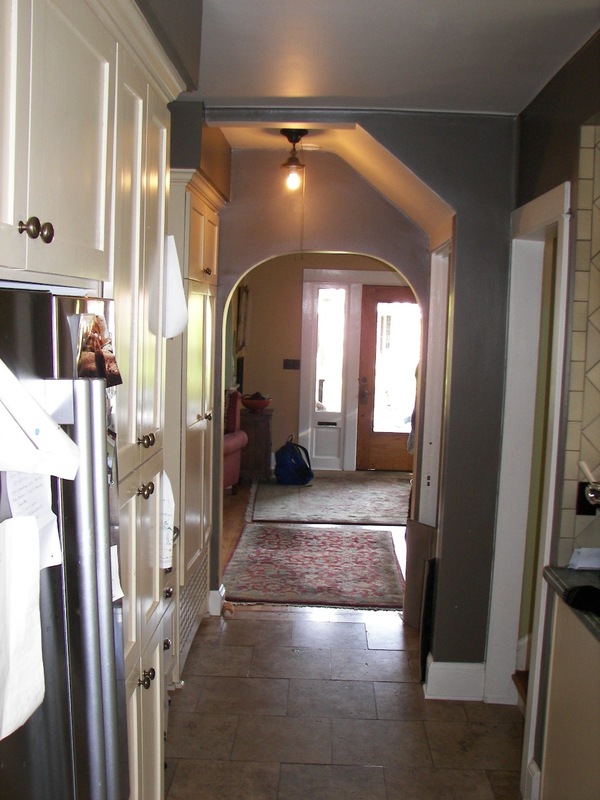 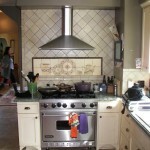 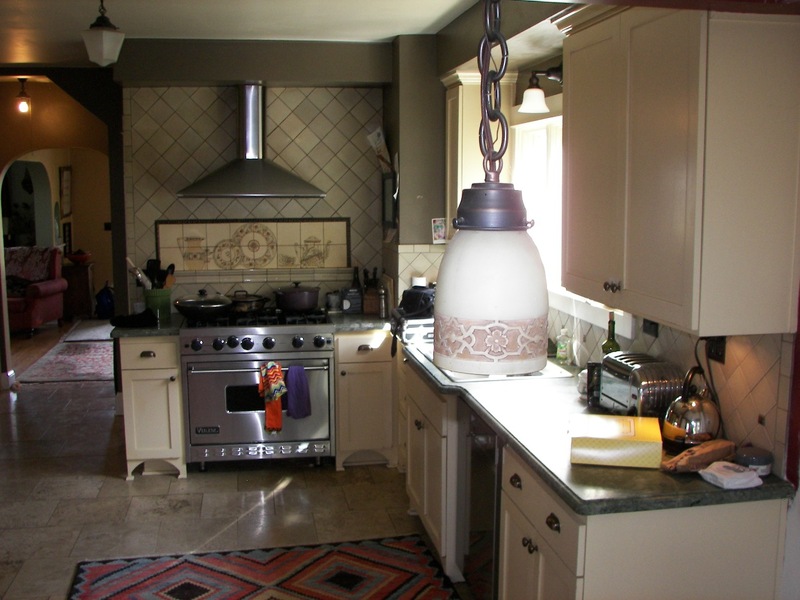 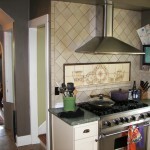 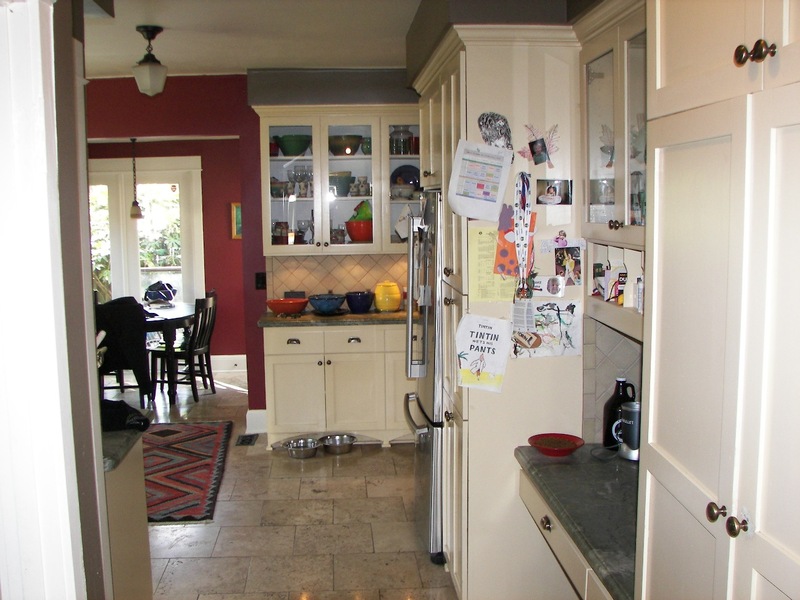 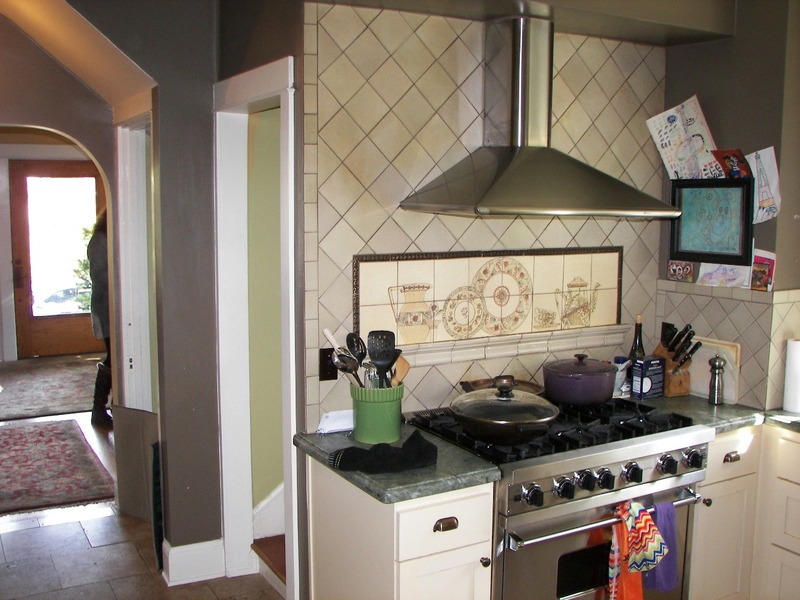 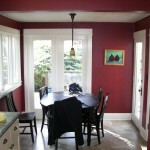 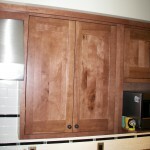 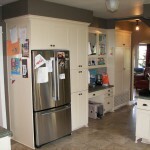 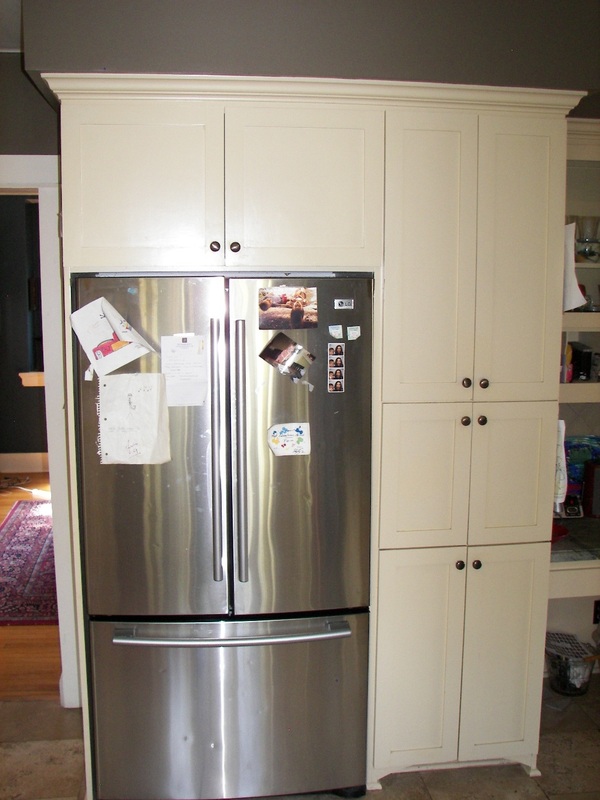 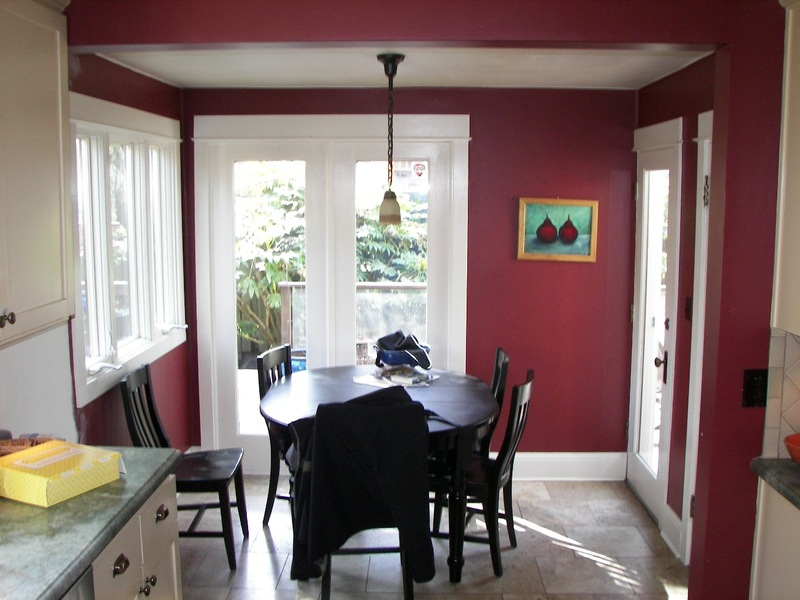 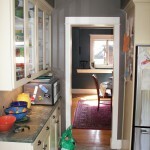 This was a large Kitchen Remodel in Portland. 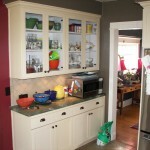 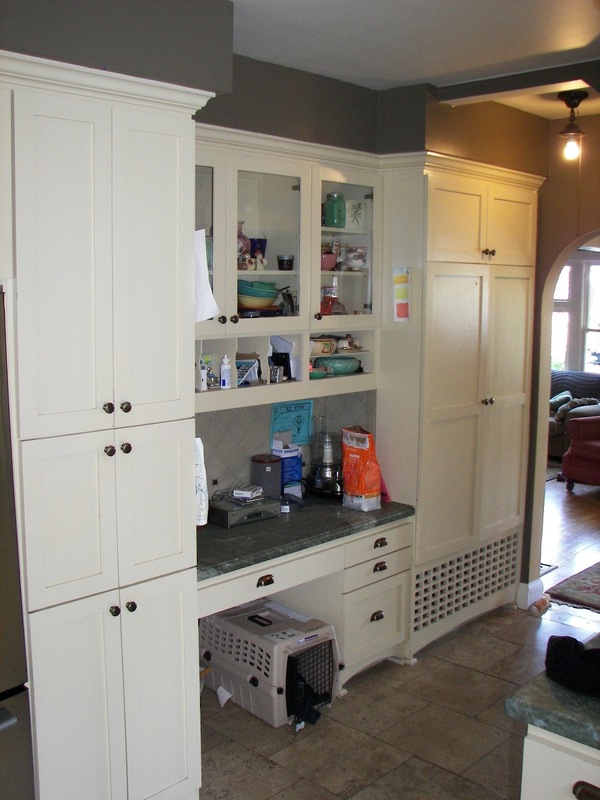 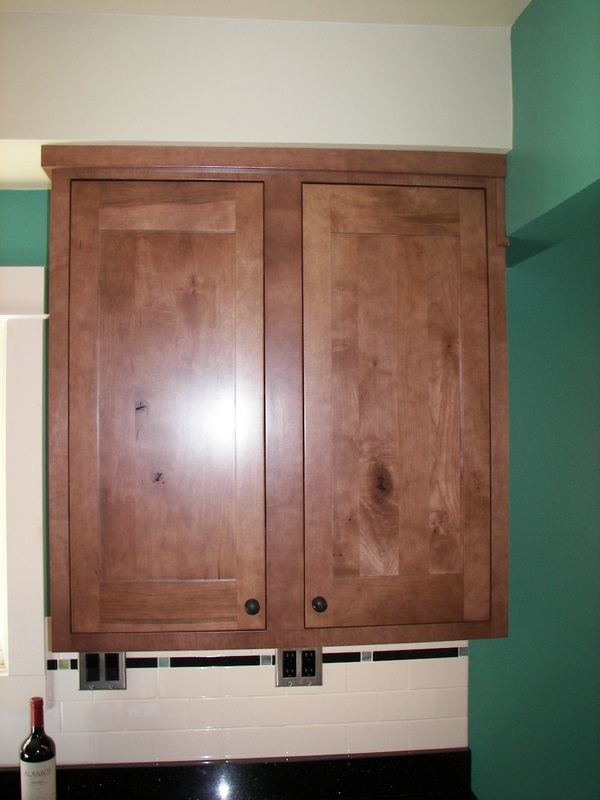 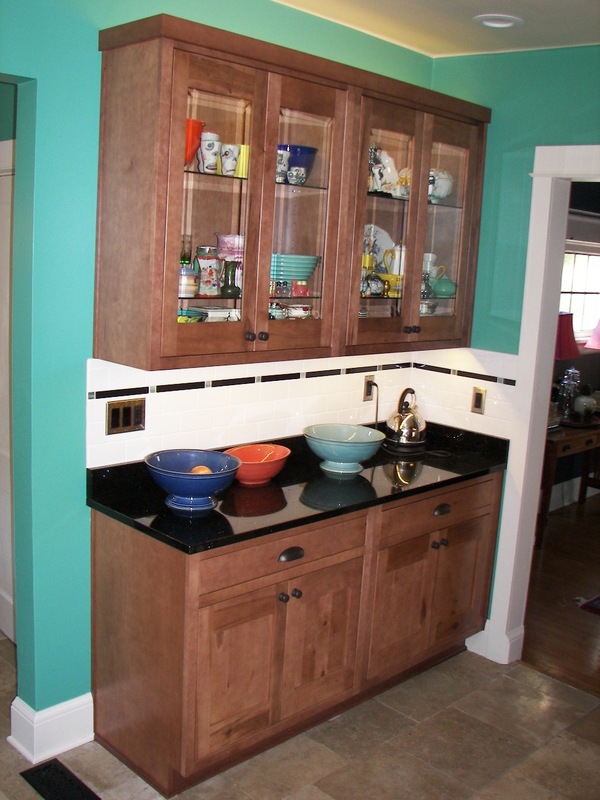 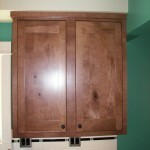 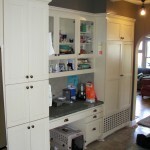 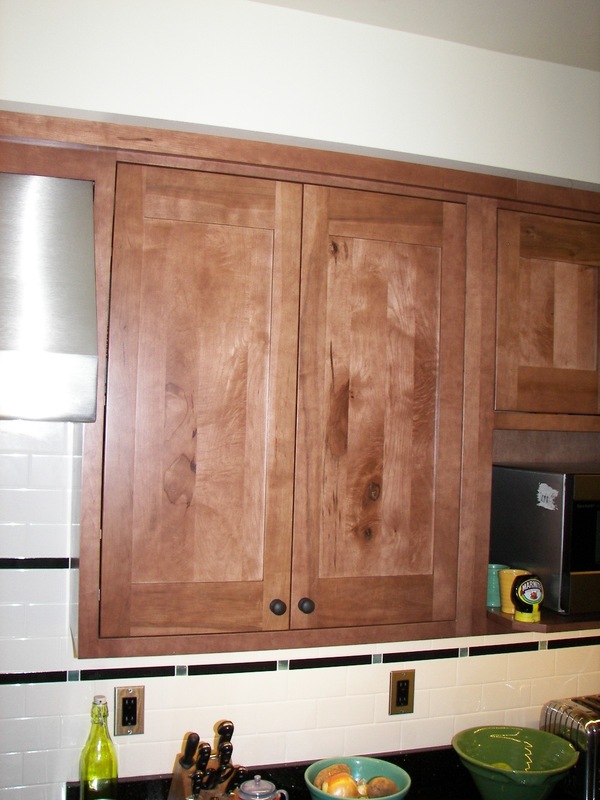 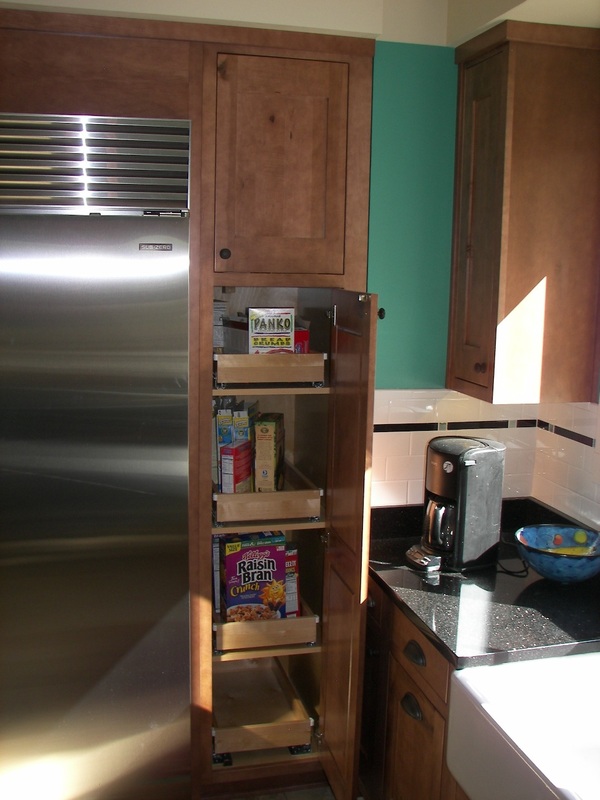 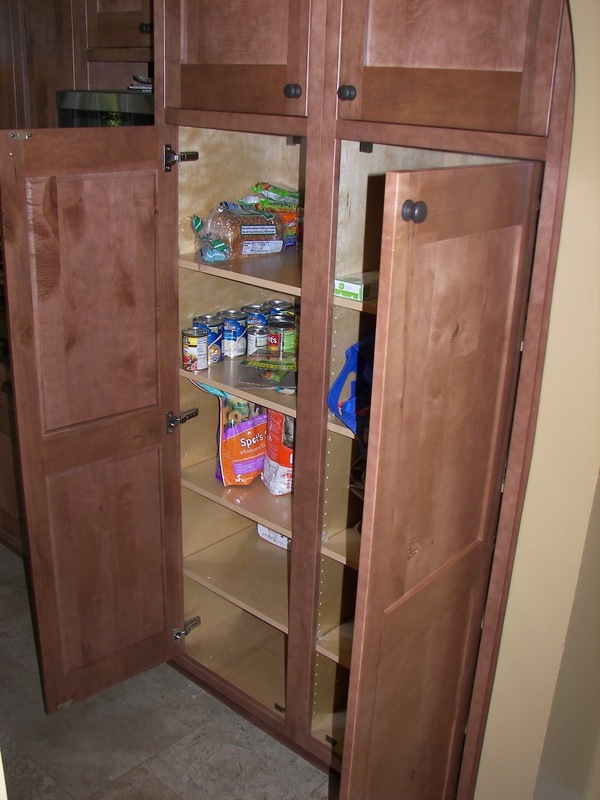 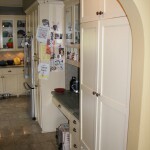 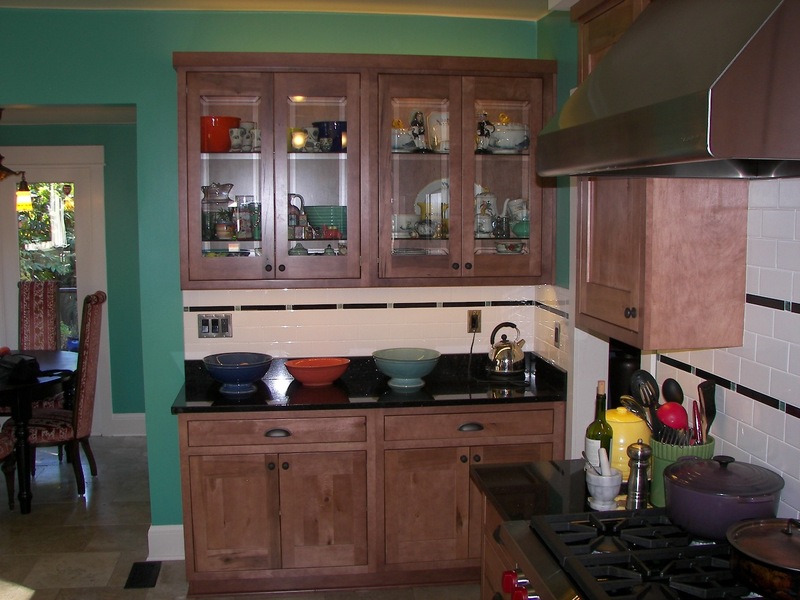 The cabinets are –Maple Plywood Construction- with Dovetailed Drawers and full extension soft close drawer guides. 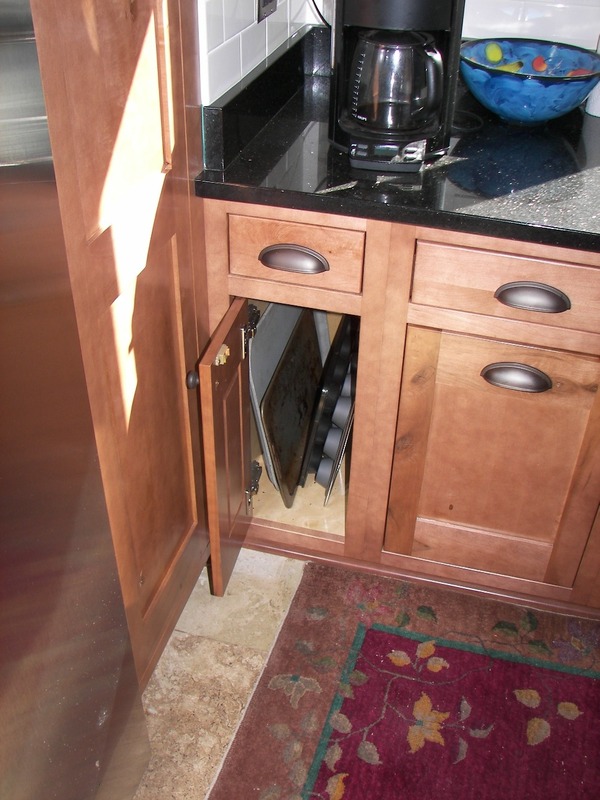 The doors are soft close too! 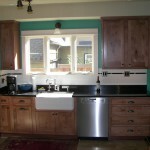 The counter tops are Granite Galaxy Black. 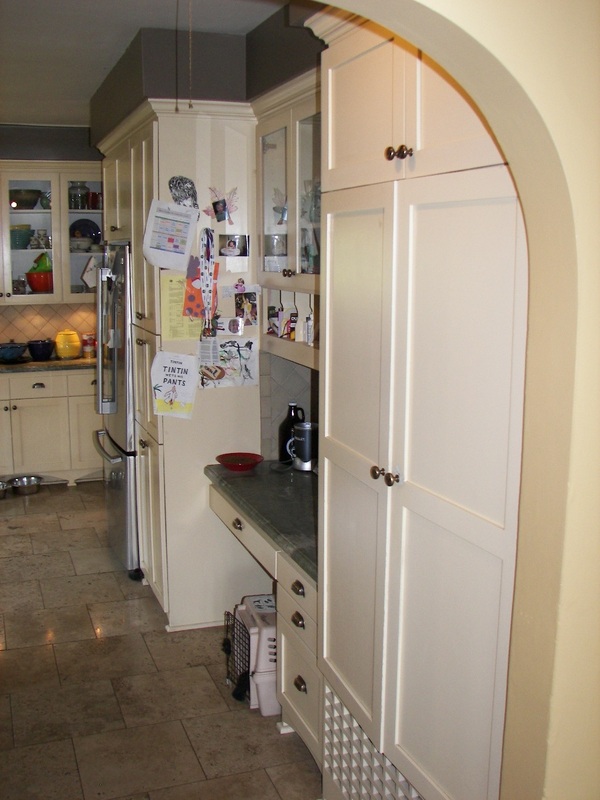 The cabinets are Inset (which means the doors are flush with the face frame), this was probably what the original cabinets looked like but painted white! 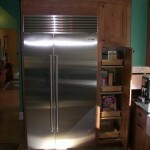 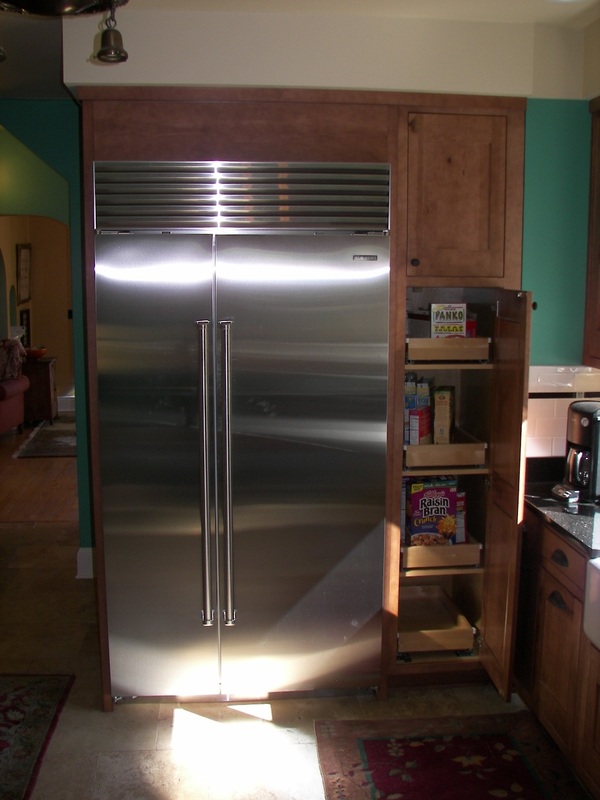 We moved the refrigerator to open up more space for the new location of the range. 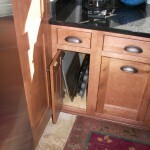 We move the range to give more room on each side! 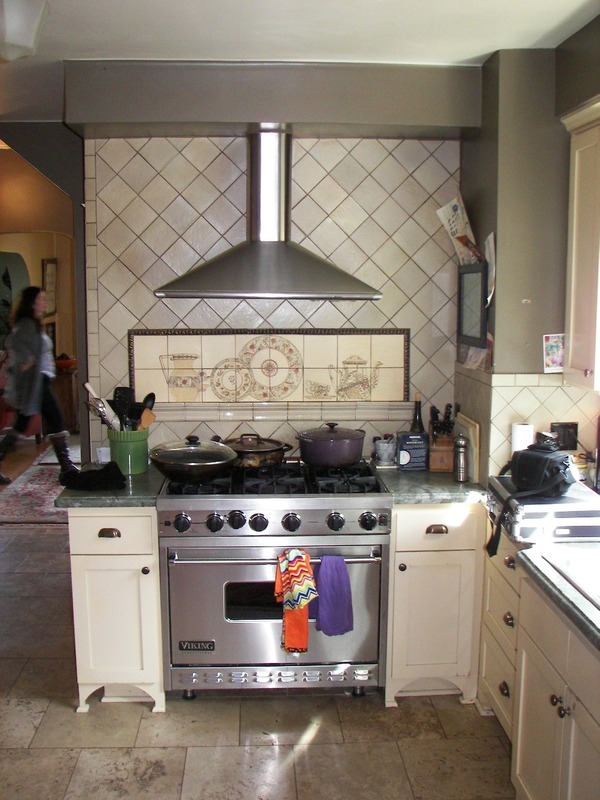 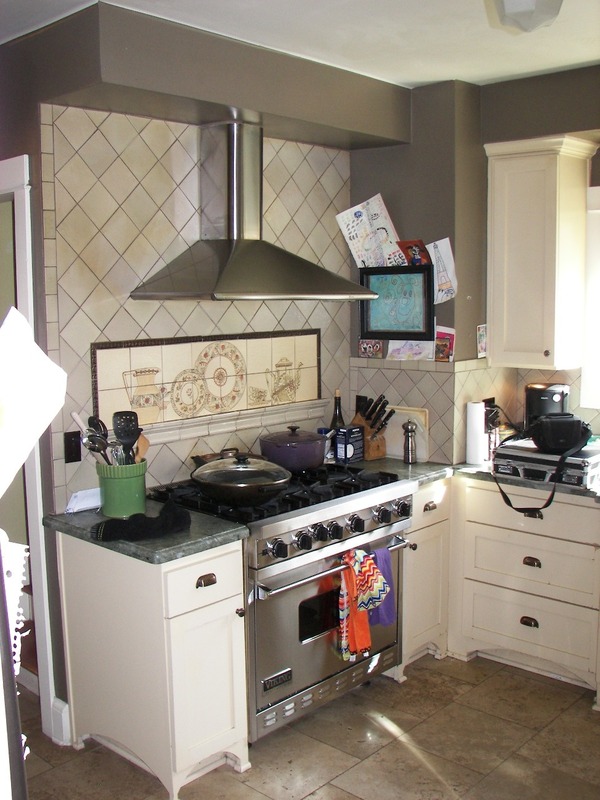 The range is Wolf 36” gas range with a Big Range Hood overhead. 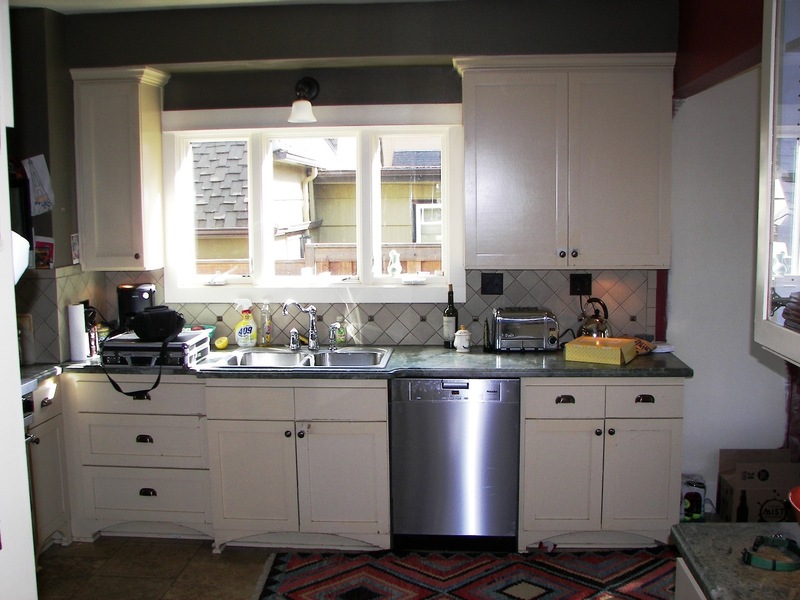 The sink is a farmhouse sink. 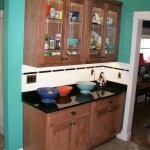 The Granite Counter top is Galaxy Black. 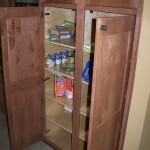 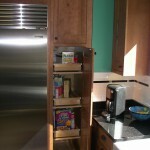 We used roll outs where ever we could to give total access to the cabinets. 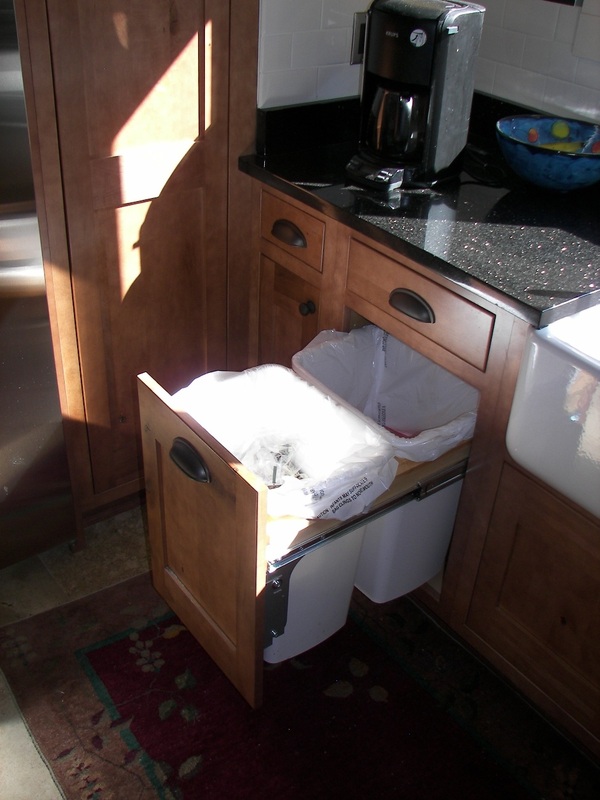 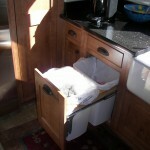 There is also a cookie sheet cabinet and a recycle bin.